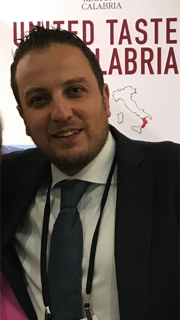 Born and raised in Calabria Italy, he came to the United States in 2000, after several years in the food industry. In January 2008, he joined Caffo Beverages as Executive Vice President, a branch of Distillery Caffo, and under his management Caffo Liquors are now available in over 25 different states. Distillery Caffo is a 100 years old company that produces an all natural collection of spirits in Calabria Italy. The story of the Caffo family dates back to the end of the 19th century, their flagship product is the “Vecchio Amaro del Capo”, a liqueur made from Calabrian herbs which is inspired by an ancient recipe.